Happy Friday and welcome to your weekly dose of all things biodefense! A preliminary report from the Malaysian police has found that VX nerve agent was most likely used to murder Kim Jong-nam. Want to dabble in the world of global health security? Don’t miss out on the GMU Biodefense three-day, non-credit summer workshop on July 17-19, 2017! Participants will look at the challenges facing the world at the intersection of national security, public health, and the life sciences. Instructors for the workshop range from FBI special agents to biodefense professors and USAMRIID commanders. 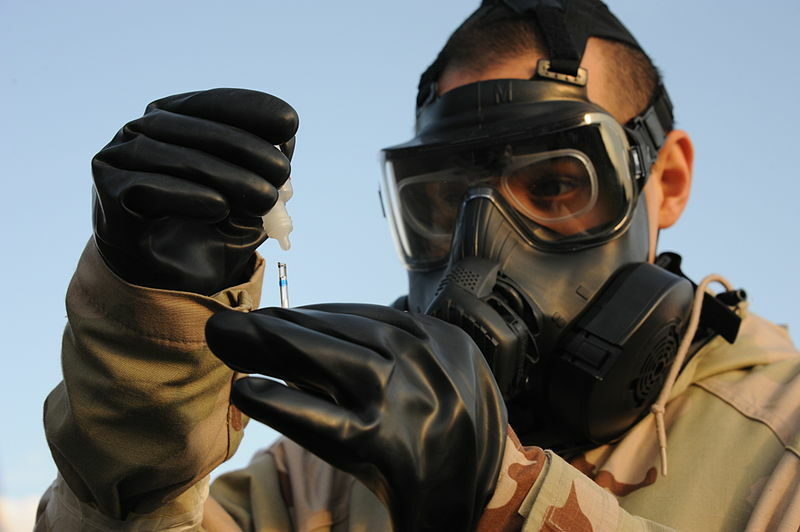 The workshop will look at the spectrum of biological threats – including naturally occurring disease outbreaks such as SARS, Zika, and Ebola, lapses in biosafety, dual-use research of concern, and the threat of bioterrorism. From now until May 1st, you can take advantage of the early bird registration discount! If you’re looking to keep tabs on the Biological Weapons Convention, we’ve got just the place for you. The BWC Implementation Support Unit has prepared a newsletter to better support communication among States Parties and encourage involvement in BWC-related issues and events. The first issue discusses the recent Eighth Review Conference and news like the launch of EU projects to support BWC universalization and a Confidence-Building Measures reminder letter (deadline for submission is April 15th!). 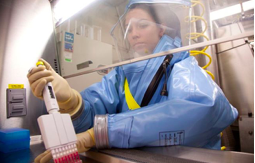 The CDC has temporarily closed down its Biosafety Level-4 laboratories following the finding that their air supply hoses to researchers in protective suits were not approved for use. “‘We have no evidence that anybody has suffered ill health effects from breathing air that came through these hoses,’ Stephan Monroe, associate director for laboratory science and safety at the CDC, told Reuters. Monroe said he was confident scientists were not exposed to pathogens because the air they breathed passed through HEPA filters. 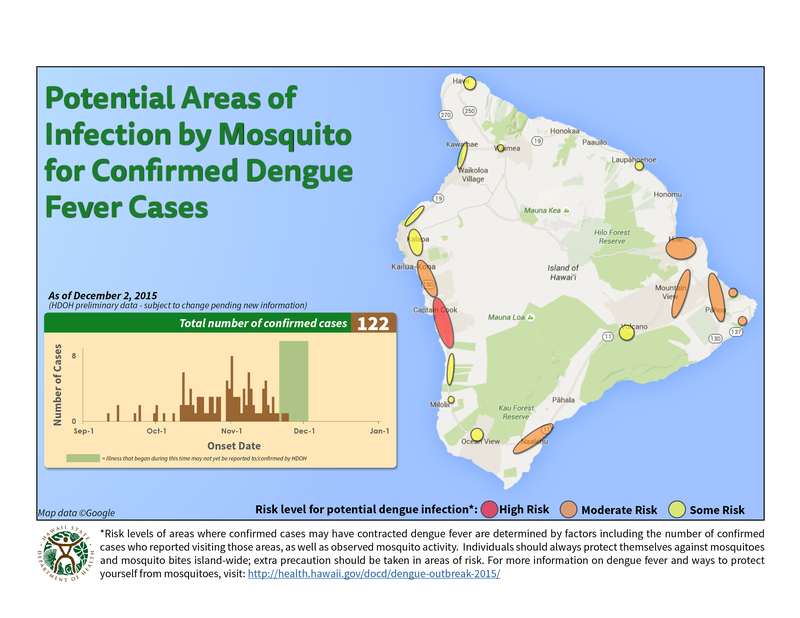 The suits they wear also use positive air pressure to prevent pathogens from entering the suit.” Safety tests are currently being performed while employees are being notified and monitored. Interestingly, Monroe’s position is a newly minted one, having been established in 2015 to combat the continuous findings of major lab safety failures involving anthrax, avian influenza, and Ebola in CDC labs. Bill Gates recently spoke to Business Insider following his speech for the Munich Security Conference, in which he highlighted his real concerns for global health security. 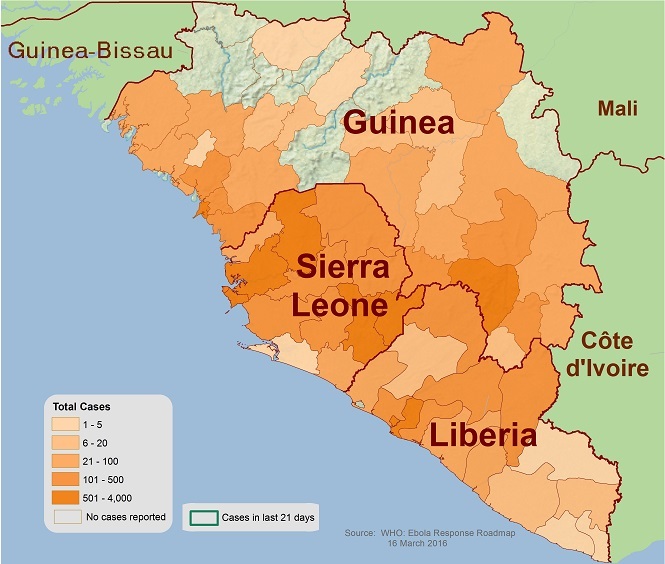 He noted that conflict areas and regions that are struggling to find stability are perhaps the most challenging in terms of outbreak containment. Gates emphasized the vulnerability for genome editing of a virus to make it more contagious, and also the advances in biotechnology that may help prevent the spread of an epidemic. “The point is, we ignore the link between health security and international security at our peril. Whether it occurs by a quirk of nature or at the hand of a terrorist, epidemiologists say a fast-moving airborne pathogen could kill more than 30 million people in less than a year. And they say there is a reasonable probability the world will experience such an outbreak in the next 10-15 years.” Perhaps the most important thing on our “to-do” list is to invest in vaccines, drugs, and diagnostics. We have a tendency to put these priorities lower on the totem pole until a major public health crises occurs however, Gates highlights their relevance. The launch of the new Coalition for Epidemic Preparedness Innovations (CEPI) is one step closer to bridging this gap. “The really big breakthrough potential is in emerging technology platforms that leverage recent advances in genomics to dramatically reduce the time needed to develop vaccines. Basically, they create a delivery vehicle for synthetic genetic material that instructs your cells to make a vaccine inside your own body.” Gates also emphasized the importance of strengthening basic public health systems, especially in vulnerable countries – adding to that age old saying, “an outbreak anywhere is an outbreak everywhere”. Get ready to add this new book to your reading list. 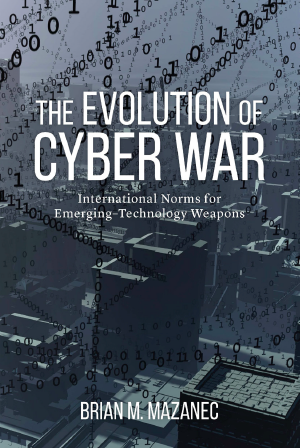 Matthew Bunn and Scott D Sagan are looking at insider threats like nuclear material theft and Edward Snowden. “Insider Threats offers detailed case studies of insider disasters across a range of different types of institutions, from biological research laboratories, to nuclear power plants, to the U.S. Army.” Don’t miss the chapter from Jessica Stern and Ronald Schouten, “Lessons Learned from the Anthrax Letters”. Stern and Schouten look at the investigation of the Amerithrax attacks and provide a portrait of Ivins and his troubling behavior. They also address “the combination of regulatory changes, red flags missed by Ivins’s colleagues, and the organizational and cognitive biases that contributed to the failure to identify Ivins as a potential insider”, and the current environment and new regulations. Image of the Week: Salmonella typhimurium! 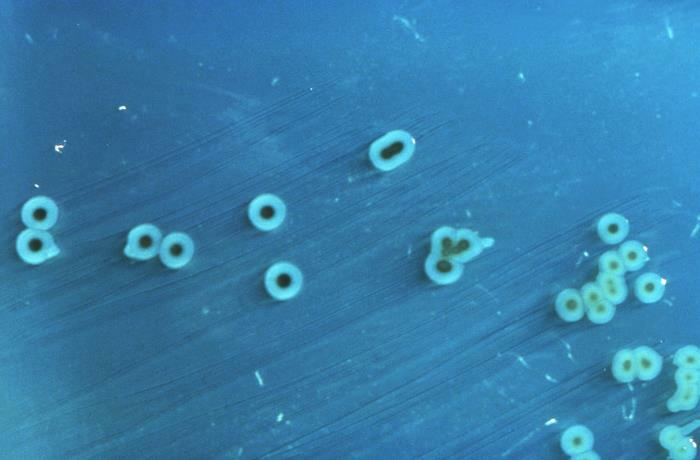 From the CDC: “This photograph depicts the colonial growth pattern displayed by Salmonella typhimurium bacteria cultured on a Hektoen enteric (HE) agar medium; S. typhimurium colonies grown on HE agar are blue-green in color, for this organism is a lactose non-fermenter, but it does produce hydrogen sulfide, (H2S), therefore there can be black-colored deposits present. Highlights include camels as MERS’ vectors, anti-bacterial chemicals hiding Salmonella, a new malaria vaccine, BioWatch in DC, H5N1 in Nepal, African Swine Fever in Belarus, and in case you missed it: mutating H7N9. Happy Friday! Can we all just take a moment to appreciate the level of epidemiological sleuthing which went in to uncovering this? Researchers attempting to determine the vector of Middle Eastern Respiratory Syndrome (MERS) ended up sampling 50 Omani racing camels, and 105 Canary Islander tourist camels. All camels sampled from Oman, and 15 of those from the Canary Island, possessed antibodies to MERS, indicating prior infection. While the presence of antibodies is compelling, the virus itself was not found in any of the dromedary (vocab word of the day, meaning an Arabian camel with one hump) camels sampled. Also, Oman has reported no human cases of MERS. However, with camels as a possible vector, follow up investigations into whether those people infected had any contact with camels, their meat, or their milk can be conducted. MERS has infected 94 people to date, killing almost half. According to recent research, the use of stronger anti-bacterial chemicals at poultry-processing plants may be cloaking the presence of Salmonella and other foodbourne pathogens which remain on the processed meat. Apparently the more stringent chemicals are too strong for current Salmonella tests, potentially resulting in false negatives. The USDA has stepped in to further investigate the research’s claims. For those of you who (like me) didn’t know, apparently the bird is treated with four different chemicals on average. A new, live-attenuated malaria vaccine has successfully completed Phase I clinical trials. The vaccine, known as PfSPZ Vaccine, has been shown in a recent NIH to be safe, immunogenic, and effectively confer immunity. However, a significant drawback of the new vaccine is its intravenous administration – most vaccines are administered subcutaneously, intradermally, or, ideally, orally. Nonetheless, researchers are optimistic, and a set of follow-up studies are scheduled. According the the WHO, in 2010 (most recent sampling year), malaria caused an estimated 219 million cases globally, with 660,000 deaths, predominantly amongst African children. 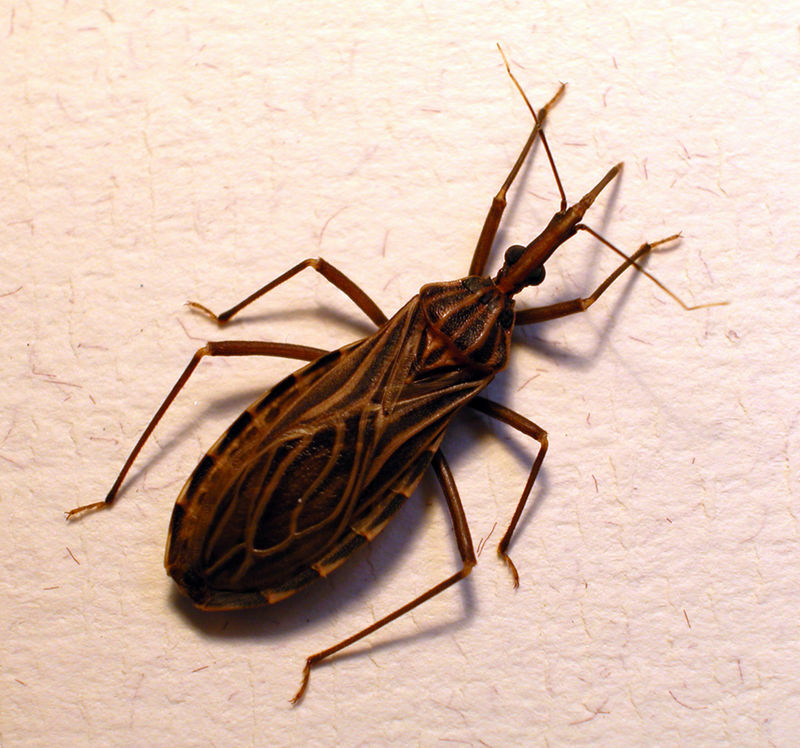 BioWatch isn’t dead yet, at least if you live in the DC metro region. The Department of Homeland Security has decided to award LRS Federal a six-month contract extension for maintenance of BioWatch in the DC metro area. The $759,000 awarded in the renewal will go towards maintenance of the program, including salaries of those who collect the daily samples and upkeep. No new developments on Gen 3 writ-large. Nepal: H5N1 is still raging in Nepal, with the government considering an extension of the current ban on poultry-product sales. In the weeks following this most recent outbreak, the Nepali government had come under fire for apparently pandering to poultry groups, resulting in an increase in the virus’ spread. However, it has since began a widespread campaign of restriction of poultry sales and culling. Fears of the virus spreading south to neighboring India remain. Read more here. Belarus: It’s not often we get to write about Belarus, Europe’s last dictatorship (no Putin jokes, please). The Eastern European country is currently experiencing an outbreak of African Swine Fever, which only affects pigs. Belarus has admitted difficulty in containing the outbreak. We’ve been unable to track down official numbers (it’s Belarus), but concerns over the disease spreading to Western Europe are mounting. Read more here.